Jose Manuel Ortega and his sister Natalia do things a bit differently at their O. Fournier winery. With vineyards in Ribera del Duero and across the world, wine is both a passion project and a family affair. But the way that the Ortega family started their now-bicontinental O. Fournier winery is not your typical family winery tale. With a degree from Wharton, a successful career under his belt, and a dream of operating a business of some sort, Jose Manuel found himself craving a new type of investment. And start a winery he did … several of them, in fact. 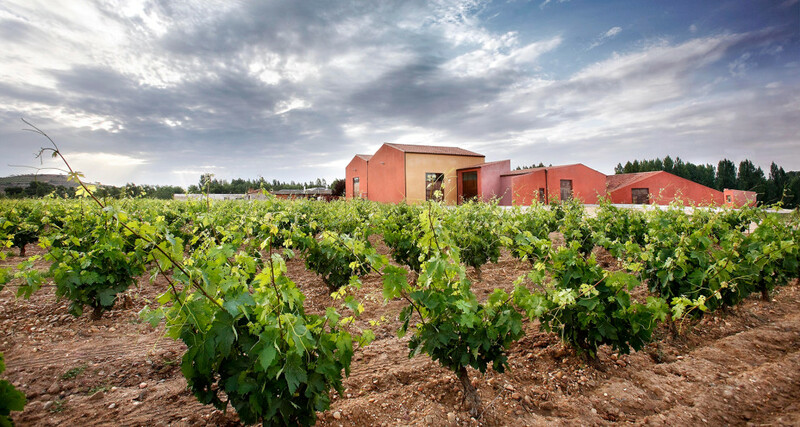 Fournier operates not just in Ribera del Duero, but also in Argentina and Chile. What’s the reason for playing both the Spain and South American game, you might ask? That’s when the businessman in Jose Manuel comes out. And O. Fournier wineries are also changing the way these vineyards are managed. With Jose Manuel’s rolodex filled with well-heeled bankers and leaders of industry, the winery has begun selling small plots of their Argentina and Chile vineyards as private labels that serve like a co-op of sorts. The investor will pay for the vines in that area of the vineyard, and then O. Fournier handles all of the winemaking for them, puts a name and label of the owner’s choosing on it, and that’s that: A private label wine without any overhead for the investor, and a way to generate income for O. Fournier … and Jose Manuel plans on bringing this approach to Ribera del Duero soon. 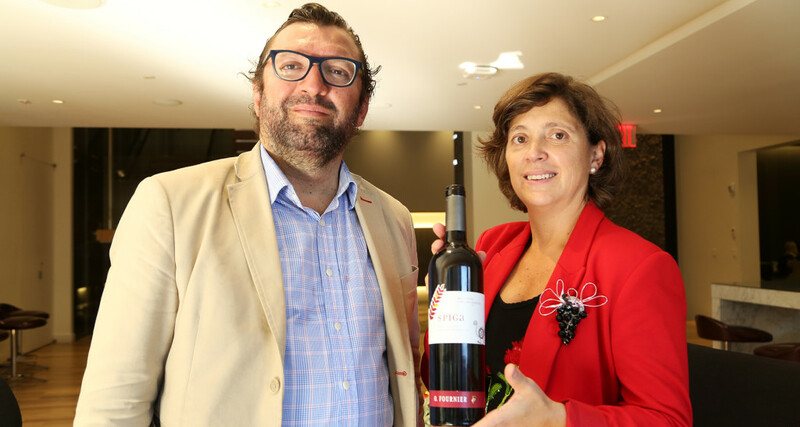 As for their Ribera del Duero wines, O. Fournier continues their do-things-differently mentality. Rather than stick to the conventional classification structure of Crianza, Reserva and other styles that have required aging and bottling timelines, they simply age and bottle the wines according to when they think they’re at their best. 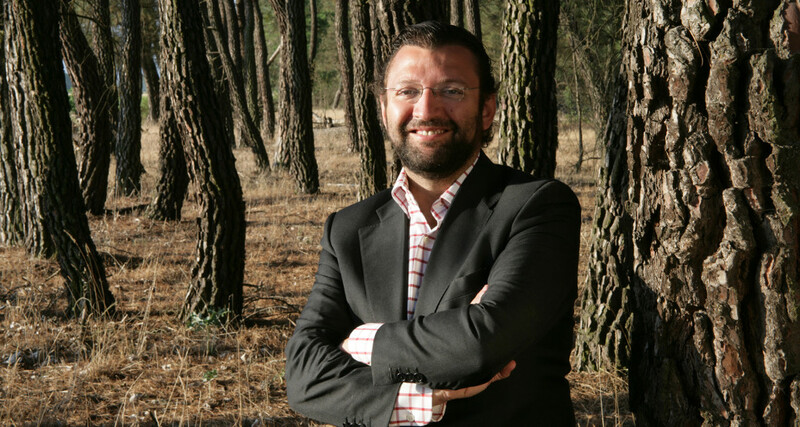 Beyond Ribera, their global operation has benefits both near and far. Since the seasons are reversed in South America, O. Fournier’s winemakers in that region will travel to Ribera del Duero during harvest to help, learn and experiment, and during the South American harvest, their Ribera winemaker will do the same. Out of 22,000 hectares of vineyards throughout Ribera, only 25 hectares of malbec are currently planted, so an O. Fournier Ribera del Duero boosted with malbec will surely take some time. One thing, though, is for sure: During that time, O. Fournier will continue pushing the boundaries of the wine business. After fifteen years in the O. Fournier winery, and with much of the core team members of his own family, Jose Manuel admits that it’s “been a challenging experience, and there are things that are difficult to separate” when it comes to working with relatives. But then there’s also that intangible goodness that comes from working with family, where all of the fights, squabbles and disagreements get evened out in a big way thanks to one main source of stress being eliminated: Trust. O Fournier Winery and Vineyards owns a property of 105 hectares in the municipality of Berlangas de Roa y Roa de Duero, within the Burgos province. 60 hectares comprise the El Pinar Estate where vineyard plantings date back to 1946 with the first two hectares. The entire estate has been planted with the variety of Tinta del Pais, which predominates in the Ribera del Duero region.